* What is the major theme of each book of the Bible? * What are the most important lessons for everyday life in each book? * Who are the key characters, and what do they teach us? * What are the key events in each book? 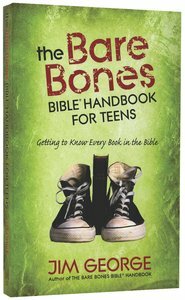 About "The Bare Bones Bible Handbook For Teens"